As the spouse or child of a service member, your sacrifices can’t be overstated, and are very much appreciated. Not only does Touro University Worldwide help military service members achieve their educational goals, but also extends the same tuition benefits to spouses and children returning to school. 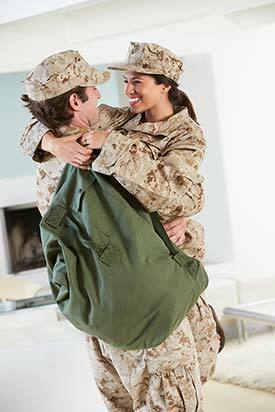 Under the Post-9/11 GI Bill, service members may have the option to transfer unused benefits to their spouses or dependent children via the TEB program. Please refer to the VA website for additional information. Educational assistance is available to spouses and children of veterans who died or are permanently and totally disabled as the result of a service-connected disability. Please refer to the VA website for additional information. To view more family benefits, click here.